What a pleasure to discover the new Untravel Media`s documentary “Gloucester Harbor Walk”, a mixed-media route in the small harbor of Gloucester, Massachusetts. They first defined their locative investigations as Walking Cinema productions. In this case we should better speak about Walking Documentaries. 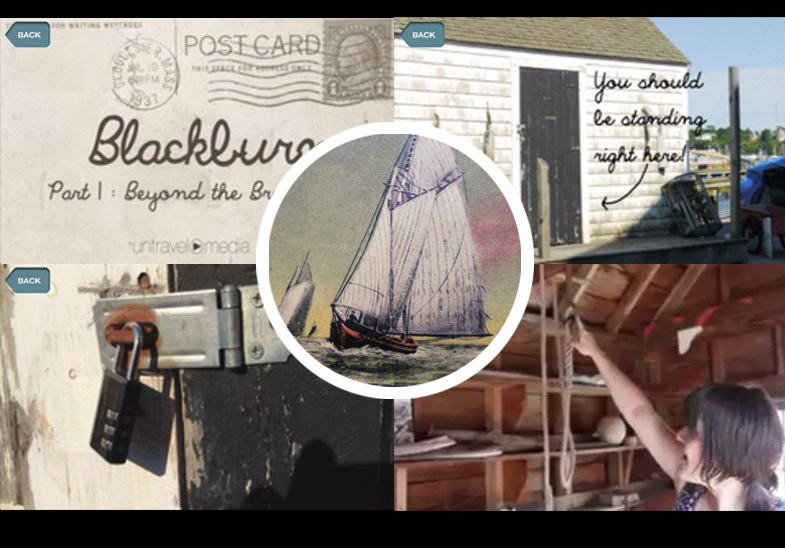 A woman invites us to discover the harbor following a route based on a set of old postcards, texts and movies. It is interesting to see how they use the real space to improve the experience by inviting you to unlock the real padlock of a real fishing cabin and discover the objects inside and their related story, brilliant !